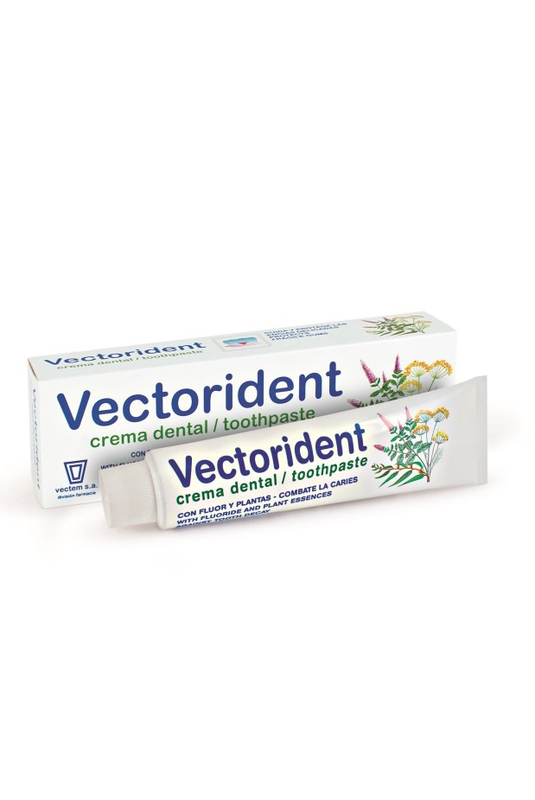 VECTORIDENT cream , vectem s.a. Toothpaste with fluoride and plant essences which fights caries, tartar and dental plaque. Protects and cares for sensitive gums. Contains plant essences with invigorating and antibacterial properties for healthier, stronger gums. Contains Allantoin, which helps accelerate the regeneration of the gingival mucosa. Contains active fluoride ion to protect against caries and dentinal sensitivity. Compatible with Vectorident mouthwash solution.